Ingrid Burrington writes, makes maps, and tells jokes about places, politics, and the weird feelings people have about both. Much of her work focuses on mapping, documenting, and studying the often-overlooked or occluded landscapes of the internet (and the ways in which the entire planet has become, in effect, a “landscape of the internet”). Her areas of inquiry vary widely, from the open-pit mines where minerals are extracted to create hardware to the quiet insinuation of fiber optic cable and antennae into urban environments. By examining the political geography and embodied realities of living on a networked planet, she seeks to demystify these technologies for non-technical publics and to reframe technology’s underlying politics and power dynamics. Her writing has appeared in The Atlantic, The Nation, Popula, e-flux journal, and other outlets. 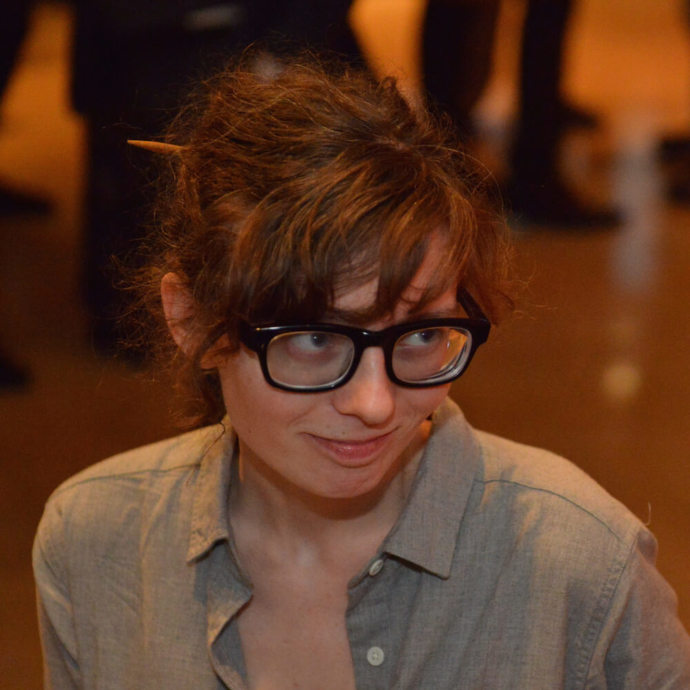 She is also the author of Networks of New York An Illustrated Field Guide to Urban Internet Infrastructure. Ingrid has previously taught at Rhode Island School of Design, the Cooper Union, and the School for Poetic Computation. Her work has previously been supported by Eyebeam, Data & Society Research Institute, the Studio for Creative Inquiry, and the Center for Land Use Interpretation.